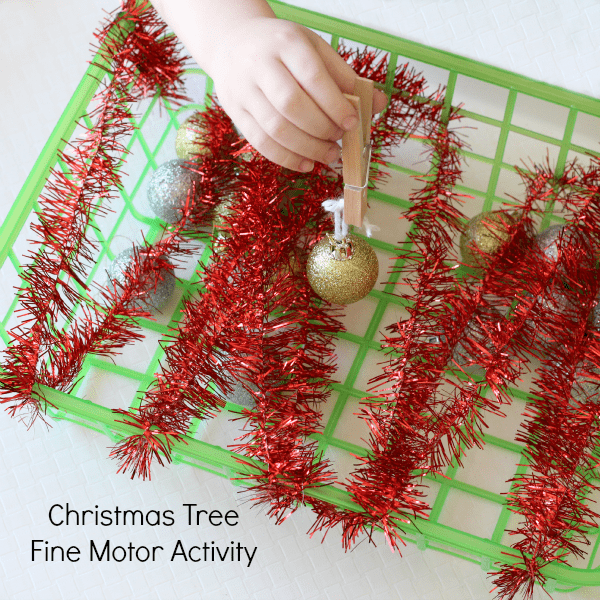 This Christmas tree fine motor activity is so much fun and a great way to develop fine motor skills in young kids! 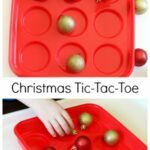 It’s a great game for a Christmas party! 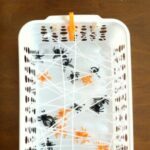 Since our spider web fine motor activity was such a HUGE hit in our home and with my readers, I thought I would make a Christmas version! My son has been having a blast with this one too! Weave the garland around the basket going in and out of the openings on the sides of the basket. 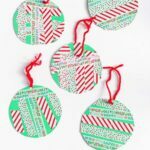 Tie yarn or thin twine to the tops of the small ornaments. Mine came with a very thin thread to use for hanging, but they were too thin. My son struggled to grab them with the tweezers/clothespin. That’s when I decided to add the yarn. I left the basket waiting for Evan to find. When he first saw it he was confused about what it was. I told him it was just like the spider web basket he had been playing with and he got really excited. He picked up the clothespin and started trying to grab the ornaments and pull them up and out of the basket. This is when it became apparent that the thread on the ornaments was too thin and I quickly went added yarn to them. Once the yarn was added, he was happy to start playing again. This time it proved to give him just the right amount of challenge. He still had to concentrate on getting the ornaments out of the basket, but he was able to do it. My toddler also enjoys pulling the ornaments out of the basket with her hands. I love that she can play with it too! 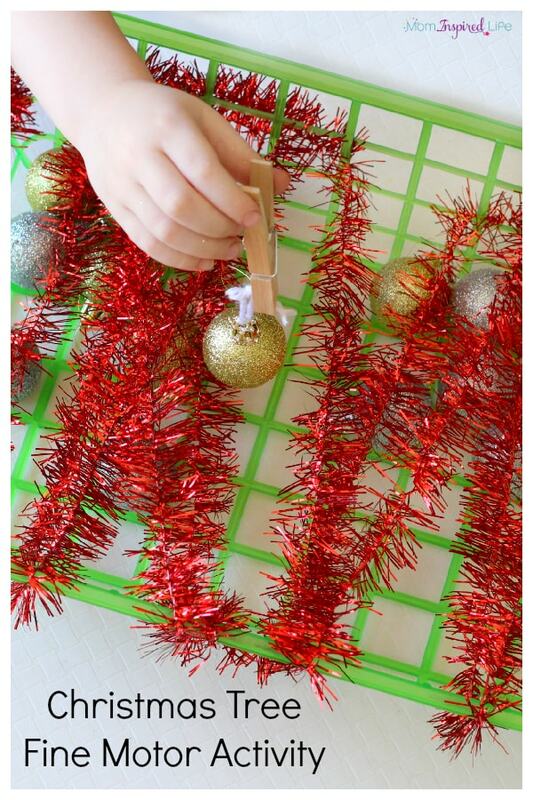 To add more of a challenge to the basket, use more garland so there is less space to pull the ornaments out. 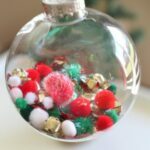 You could also try leaving the thin thread for hanging the ornaments instead of replacing with yarn or twine like I did. 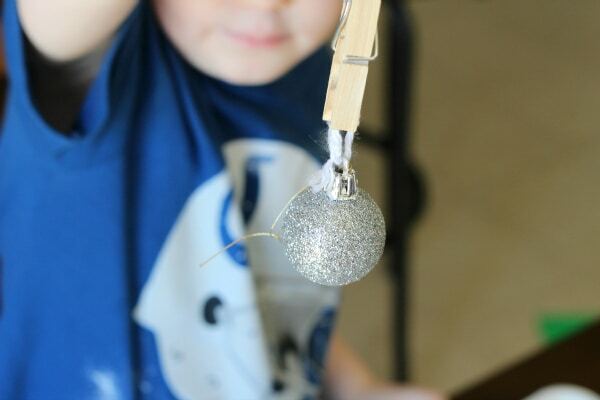 You could also have children use tweezers instead of clothespin to pull the ornaments out. 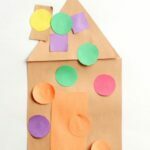 It is super easy to adapt to the needs of your child(ren)! 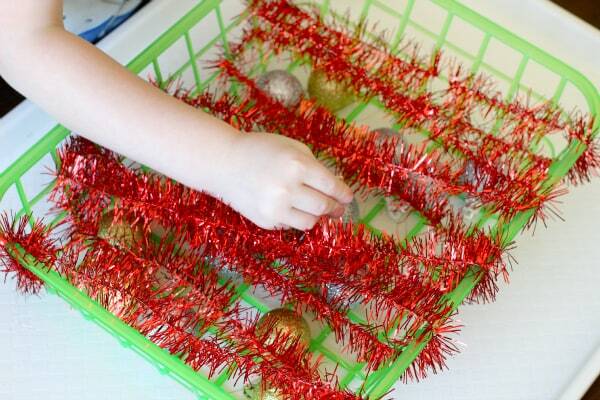 I can definitely tell that we will be playing with this basket throughout the holiday season! 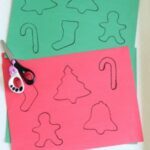 I love that I can just leave it out as a busy activity for both kids!